SR 700E regulator. 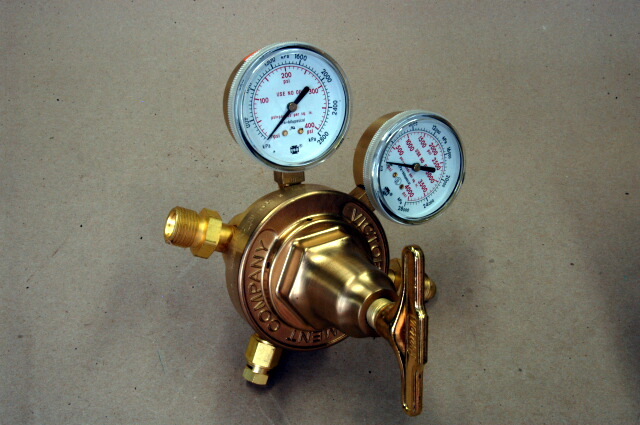 This regulator has a very high flow rate; the outlet is 3/8" pipe. We use it to operate various pneumatic effects rigs and lower pressure ratchets. Not commonly available at your corner welding store. Has a 580 inlet spud and nut to fit high pressure nitrogen bottles. A smokin" deal at 0.00; list price is 8.00 as of 11/08!